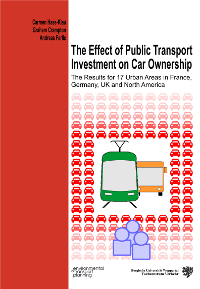 This book focuses mainly on the changes over time in car ownership in public transport corridors. It utilises recent Census data in 5 countries. In some recent research we found that car ownership was affected by proximity to high quality public transport corridors. It analyses the ways in which residential change along a public transport corridor is sensitive to firstly the mode serving the corridor, and secondly the overall transport strategy of the city. 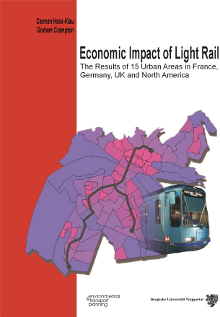 This book looks at the economic effects of light rail investments in 15 cities in France, Germany, UK and Canada. Detailed results are given for: effects on residential property prices, office rents and retailing, numbers of shoppers in city centres, car ownership, competition between city centres and sub-centres, land use and industrial character, and policy lessons. This publication first published in 2000 has been completely updated. It includes 2 new case studies: Freiburg and Rouen. 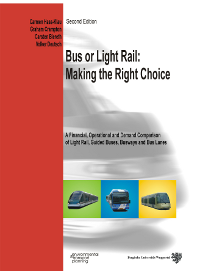 It also includes a completely new chapter on the different types of new guided buses and a technical valuation. The summaries of the current state-of-play in urban transport policy have been revised to take account of recent developments. 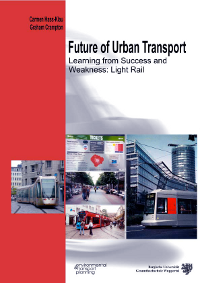 This book studies in detail 24 cities in Europe, Australia and North America, which have well established or new light rail systems. These are ranked according to their success in attracting passengers, and the causes for variation in that success are analysed. This book focuses on the social activities of people in different town centre streets and squares. It also provides comparisons between mainland Europe and Britain. 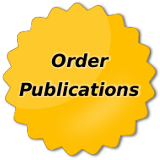 Available from Landor Publishing Ltd.